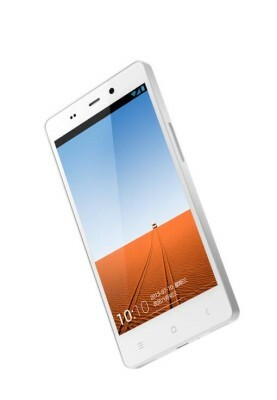 Gionee has officially launched the Elife E6 smartphone is India. This is the smartphone for which you can go on your own, means the specs will never make you despondent. Gionee Elife E6 was announced few months back and it is already ruling in the markets of China. The device has impressive specs and features that makes it apart from other Quad core smartphones. The handset owns a premium design and look. The Elife E6 would compete with Intex Aqua i7, Micromax Canvas 4 A210, iBerry Auxus Nuclea N1, Gionee Elife E5, and Sony Xperia C. Intex Aqua i7 is a stable competitor for the handset. The list of rivals is not limited to this, but the above are the main rivals considering the price in India. The Gionee Elife E6 has 5 inch Full HD resolution OGS+ display with Gorilla glass 3 protection at 441 ppi . The handset comes with 1.5GHZ Mediatek MT6589T quad core processor joint with 2GB of RAM, 32GB internal memory and runs on Amigo UI based on Android 4.2 Jelly bean OS. It has 13MP rear camera with f2.2 wide angle lens, Second generation BSI sensor, LED flash and a 28mm wide angle 5MP front camera. The device can record full HD 1080p videos from both the cameras. The Elife E 6 comes with features like gesture controls, motion sensing and more .It houses 2000mAh battery. Talking about the connectivity options it has 3G, WiFi 802.11 b/g/n, Bluetooth 4.0, GPS, 3.5mm audio jack and microUSB with OTG support. 5 inch Full HD 1080p display with OGS technology. 1.5GHz quad-core processor, 2GB RAM. Android 4.2 with Amigo user interface. 13 megapixel AF primary camera with BSI sensor and LED flash. 5 MP wide angle front facing camera. CABC technology, which adjust brightness automatically. DTS 3D sound, Yamha Audio Chip. 3G, 2G, WiFi, Bluetooth v4.0 , GPS / aGPS, FM radio. The Price of Gionee Elife E6 in India is RS 22,999 and it comes in Black and Pearl White colors.